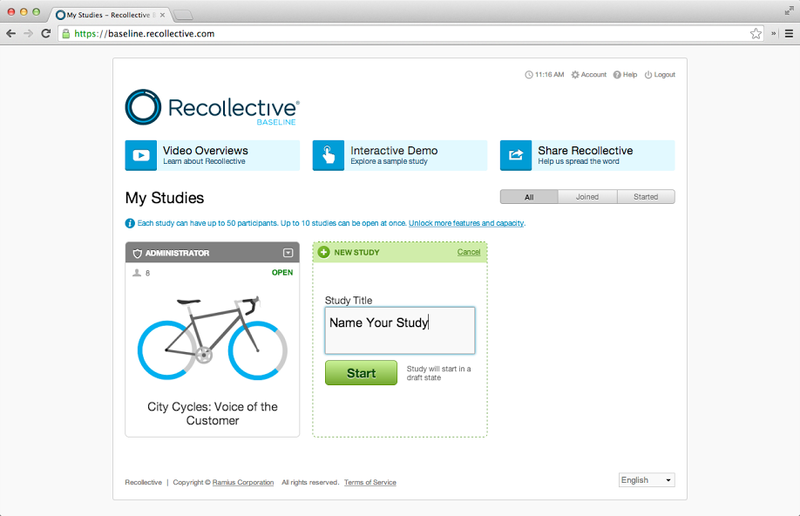 A new research tool called Recollective Baseline is helping website owners understand their customers better. The Web-based service, launched by Ramius Corporation, enables anyone to conduct qualitative research studies for free within an online community. Through Recollective Baseline, users can test ad concepts, obtain feedback and gain insights into customer behavior. The service can be set up to ask open ended questions that customers can respond to with text, images, videos and files. Plus, the service is optimized for mobile devices, which enables consumers to be engaged anywhere. Recollective Baseline aims to emulate the traditional qualitative research process, which is typically done informally or through focus groups. The service does this by providing users with tools to help them better understand their audience’s behaviors. It is also important to note that Recollective Baseline is a simplified consumer targeted version of Ramius’ Recollective Professional, which is an online community-based research platform leveraged by marketing research agencies and brands.